I saw this film at the Hot Springs Documentary Film Festival and was blown away. The Real Dirt on Farmer John excels on both a technical and an emotional level. So many films, particularly documentaries, struggle to achieve three clearly defined acts that maintain a narrative arch, but this film succeeds... and then some. 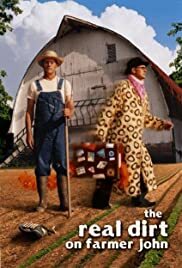 While 'Real Dirt' was one of the highlights at Hot Springs, what really provoked me into writing this brief review was an idiotic post at this same site that claimed the 'Real Dirt' was fake and manufactured by the director and his subject. Yes, they've had a long standing relationship, but I think the film makes that clear. 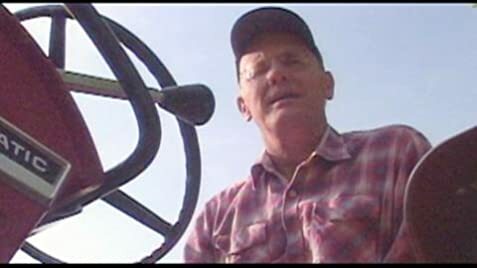 And the many articles I've since read about Farmer John and the film backs up the documentaries validity. This same review claims Farmer John is 'acting'. Well, anyone who sees the film will instantly realize that John is at the very least a theatrical person in his everyday life - but I'd hardly call what he does at any point in the film acting (except for the segments that depict him acting in his own play as captured in a CNN clip from the 80's). The events of Farmer John's life are laid bare on the screen for all to see. That he wrote and reads the films narration is a bit unconventional, but in the end only adds to the unique experience of the exceptional film.